Answers in Genesis is an apologetics ministry, dedicated to helping Christians defend their faith and proclaim the gospel of Jesus Christ effectively. We focus on providing answers to questions about the Bible—particularly the book of Genesis. The Brighton and Hove City Mission is an non-denominational Christian Charity that endeavours to make a positive difference to the inhabitants of Brighton and Hove. Carey Outreach Ministries has been raised up by God to seek to serve the church of Christ by training spiritual leaders in developing third-world countries. An interdenominational faith mission serving in Southern Africa Dorothea means "Gift of God". feba (uk) is a Christian charity which enables the broadcasting of radio programmes and audience relations to address people�s physical and spiritual needs in Africa, Asia and the Middle East. In 1899 three commercial travellers in the USA formed an association of Christian businessmen to encourage each other in their Christian faith and to spread knowledge of God through personal evangelism and united service for the Lord Jesus Christ. They chose the name Gideons after an Old Testament leader who, with a few chosen men, did a great work for God. Pastor Training International aims to strengthen the Christian church in the poorest regions of the world - where resources and assistance are most needed, and in many cases, simply unavailable at present. Our Ministry is one of personal evangelism. Uniquely we are permitted, subject to Chaplain's recommendation and Commanding Officers' permission to visit soldiers and airmen in their accommodation, work and recreation areas. This is done with a view to befriending them and introducing them to the Lord Jesus Christ. 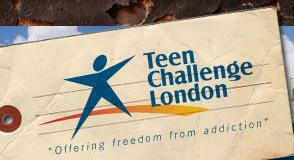 Teen Challenge is one the foremost Christian organisations in the UK offering positive help to young people trapped by addictions and other life controlling problems. The T.B.S. aims to publish and distribute the Holy Scriptures throughout the world in many languages. The West Worthing Evangelical Church, Rugby Road, recognises that Christianity is far more than simply "cultural identity" but rather requires personal commitment to Jesus Christ. The Church believes that the Bible offers very sound advice, and that its message is both credible and true.